The Place to Pawn Gold Mesa residents trust! We are the Pawn Gold Mesa locale for Cash in a Flash! 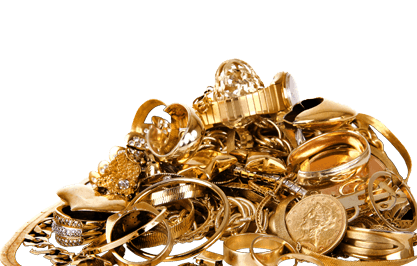 The reason why B and B Pawn and Gold is the Number One Pawn Gold Mesa Store is we encourage you to bring in your gold jewelry, coins, chains, watches or even broken pieces. Come in and get a free, no obligation quote on your gold jewelry and gold items today and get your cash in minutes! There are a couple things to clarify in regards to the various types of gold out there when you come to pawn your gold: although gold jewelry and most gold items will ALWAYS be accepted for their value and worth, they are not considered to be Gold Bullion, as the purities for these items are between 10 Karats and 18 Karats. That doesn’t mean you won’t get any cash for them. BRING THEM IN, AND GET PAID! Gold Bullion, however, is usually in the form of coins or gold bars; their value varies in purity between 22 Karats to 24 Karats. 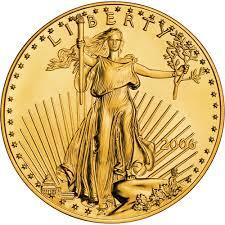 The most popular form of bullion is the 1 ounce gold coin which is issued by government mints all over the world. The most notable are the mints in the US, Canada, South Africa, Australia, Mexico, China and the United Kingdom. For that reason, you get more with Bullion than you do with Jewelry or Gold Items. What type of Gold do you take in? For starters, we Pawn Gold Coins; so if you have a collection of gold coins but don’t know where to go, B and B Pawn and Gold is waiting for you. We accept various types of Gold Coins like the Gold American Eagles, Gold American Buffaloes, Gold Canadian Maple Leafs, Gold South African Krugerrand and the Gold Mexican Peso. Just stop on by and let us have a look at the gold coins you have saved up and we will be glad to give you cash! So what are pawn loans? What good are they? Pawn Loans are when you provide the store an item of value in exchange for a loaned sum of cash. This loan is good for approximately 90 days. Within that 90-day time period, you have several options to choose from: First, you can pay the loan in full (with interest if any has built up) to have your items back. Second, you can pay the interest of the items to simply extended your 90-day period for another 90 days, but you will need to pay the loan in full before that 90 day period ends. Third, you can simply walk away from the loan, and we keep the items as payment for the cash loaned out to you. They’re a good way to make some quick money in the event you need cash FAST. Also, you have plenty of time to make up the money for the loan and also you can walk away from the loan if you want. It’s a win-win scenario for everyone here at the Pawn Gold Mesa Store in B and B Pawn and Gold! We proudly serve and assist our Mesa Clientele along with the surrounding Cities of Chandler, Tempe, and Gilbert, and will continue to provide to those communities to this day! So if you need Cash quickly and have the gold to spare, then stop by B and B Pawn and Gold! Come see us at our Pawn Gold Mesa location today and feel the rush of cash for your when you pawn your gold today!